On the morning of November 1st 2013, the Rec and Leisure program embarked on its 7th annual trip to Whistler B.C for three days and two nights. It was a frantic morning, as all 11 staff members were busy checking in the 40+ participants, assigning them to their busses and loading everyone’s luggage. The program manager, Julie Thiele, informed me that as the years have gone by, the popularity of the Whistler trip has grown exponentially. I was eager to participate in the trip because she had informed the staff that it was an amazing opportunity to get to know the people that we support and an even better way to build and initiate friendships. As we journeyed towards Whistler, there was a buzz of excitement during a quick pit stop at the South Point Tim Horton’s, where Mike and Braden changed a wiper blade on the old Goshen, unsure of the weather conditions that lay before us. We ate lunch under the observant eye of the Chief at the White Spot in Squamish. The convoy was making decent time and spirits were flying high. 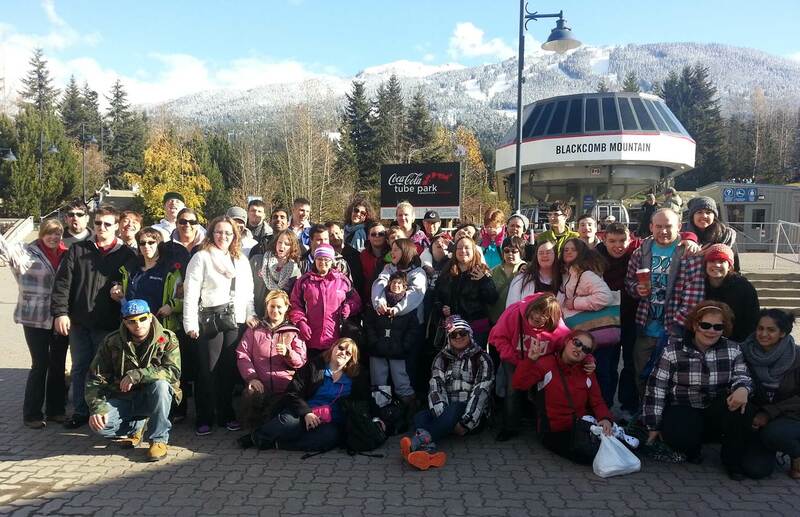 Not only was this the first group trip for me as a community support worker with Semiahmoo House Society, it was my first trip to Whistler (a drive through Whistler in the summer time as a kid with my parents doesn’t do it justice). As the fleet of buses and vans reached Whistler, I took a moment to appreciate the beauty of the mountains and the snowline that was creeping closer and closer towards the village. I was assigned to the Lorimer Lodge, along with Mike, Jenny, Sonia and Phoebe. We had some extra time before meeting the other group at the Crystal Lodge for dinner at the Old Spaghetti Factory so it wasn’t long before we were enjoying the fantastic facilities of the Lorimer Lodge. There was a line up to get a turn in the hot tub and sauna, while Cole Shinkaruk and Jayden Wells played a game of pool. Meagan Jones controlled one of the many IPod docks around the mansion and there wasn’t anybody without a smile on their face. At the restaurant, we took up over half of the already busy seating area. The staff of the Old Spaghetti Factory proved to be up to the task as the service was reliable, friendly and the food was good. To cap the night off, the entire group arrived back to Lorimer Lodge for a “mansion party,” where there were a movie night and more games of pool being played, along with Dance Dance Revolution and Connect Four. The next day, we had the whole group over at the Lorimer Lodge for breakfast that was cooked by Julie and Mike. My rookie experience was revealed that morning while I shopped and failed to realize that one bag of hash browns would not sustain a group of almost sixty people; however, there was enough bacon, eggs, pancakes, fruit and veggies so everyone received a hearty breakfast. This day was an activity day. Thrill seekers Alistair Hall, Katie Kirk and Tim van Pelt went zip lining with Jenny. The remaining groups could either choose a pool and hot tub day at the Crystal Lodge mixed with some shopping, or a day at the spa. 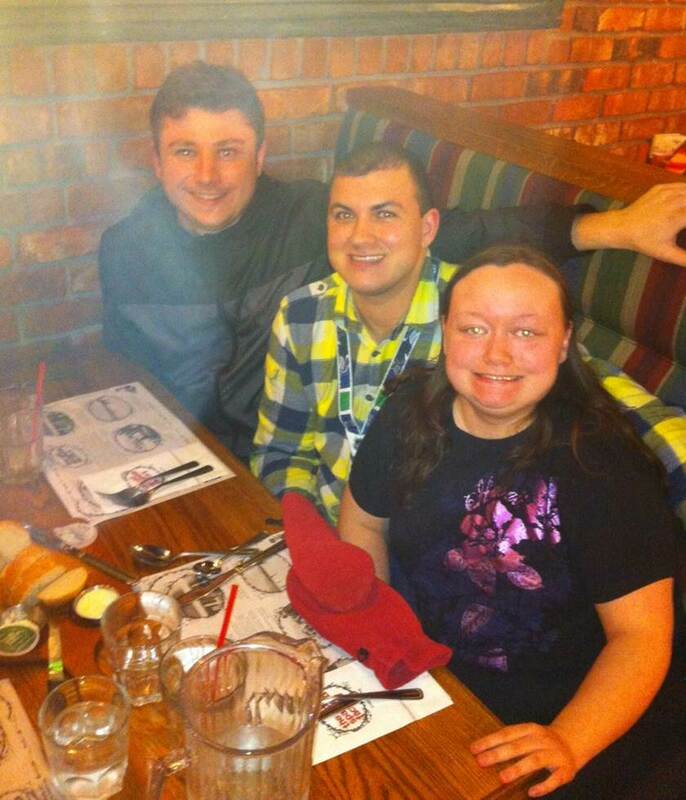 After a mini pizza party for dinner, both groups excitedly got ready for an evening of dancing at Buffalo Bills. Speaking as a twenty two year old, out of all my experiences at a nightclub in my life, this night at Buffalo Bills was by far the most memorable. The Rec and Leisure group invaded the dance floor that night. We were dancing in the cage, on the stage and in our seats. Seeing everyone out on the dance floor moving to the music (shout out to the DJ at Buffalo bills) was definitely a special moment. A list of notable dancers includes: Cory Pennington, Janek Bajerski, Heidi Lehmann, Stacey Kohler, Christine Phillips, Harry Sandhu, Natalie Raven and Michael Cutting to name a few, but mainly I saw everyone having a good time dancing the night away without a care or self-consciousness. This Whistler Trip was very memorable for me as it was my first trip. I gained valuable experience and built even more valuable friendships. I am thankful to be a part of the Rec and Leisure team of staff members. I want to thank the staff of the Crystal Lodge, Lorimer Lodge, the Old Spaghetti Factory and Buffalo Bills who were all very friendly and accommodating. Most of all, I want to thank the group of fifty plus people whom I got to know even better on this amazing trip to Whistler. Their smiles and relationships are infinitely rewarding. This blog post is dedicated to the memory of Avery Newman.